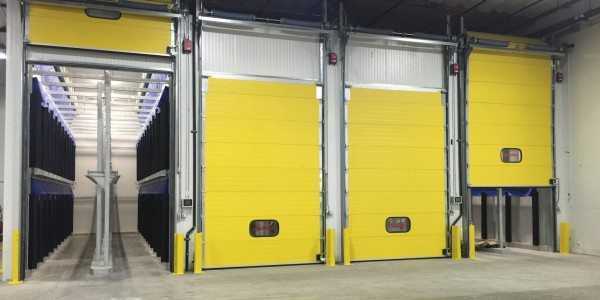 Surface Area: 93,193 sq ft. Capitalizing on a growing market looking for specialty Latin foods and products, Vallarta Supermarkets has expanded to over 40 stores in Central and Southern California. As the business grew, so did the need for regional distribution facilities. 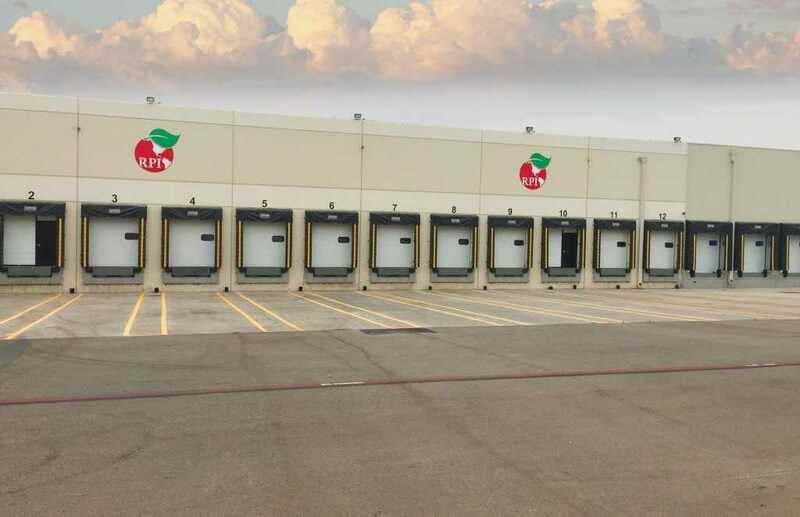 Vallarta’s produce division, Roxford Produce International contracted with Fisher Construction Group’s design | build team to design and renovate a 50-year old beer distribution facility on the northern edge of LA, converting it into a multi-temperature warehouse needed for produce storage and distribution. The renovation required a complete demo of the building’s interior, including old cooler and stud walls, roll-up doors, and roof-top condensing units. Fisher’s team then rebuilt the interior including running new trenches in the concrete floor for drains and plumbing. 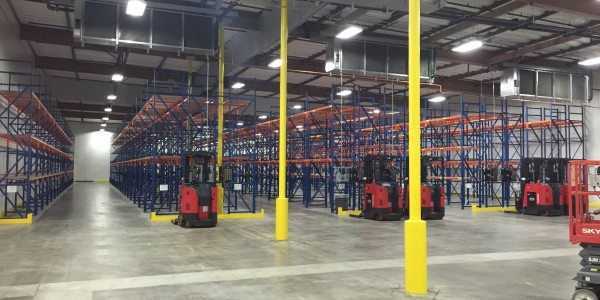 The team made the most of the space available by installing a 1,966 sq. ft. mezzanine to support the building’s mechanical system. 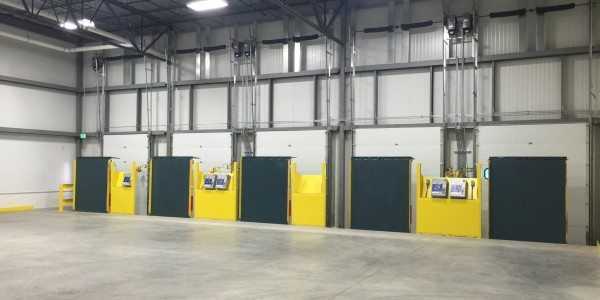 The 34˚ wet and dry rooms were built with a ‘box-in-a-box’ system using 4” insulated metal panels walls and ceilings protecting each temperature-controlled environment. 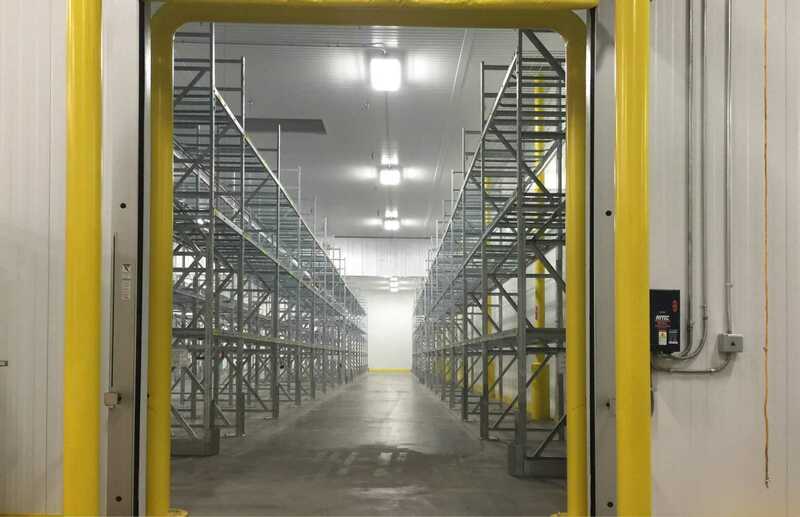 The four pressurized banana ripening rooms are fitted with state-of-the-art humidity and ventilation controls to maximize produce quality and shelf life. 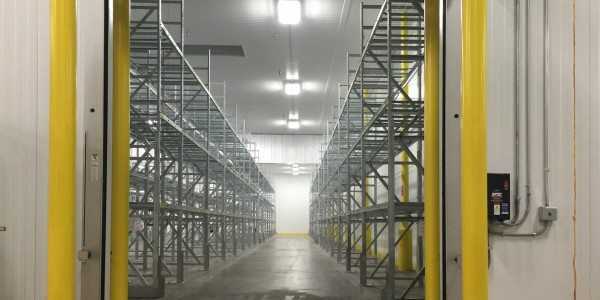 Wet and dry fire suppression systems were installed to protect the warehouse’s multiple environments in case of fire. 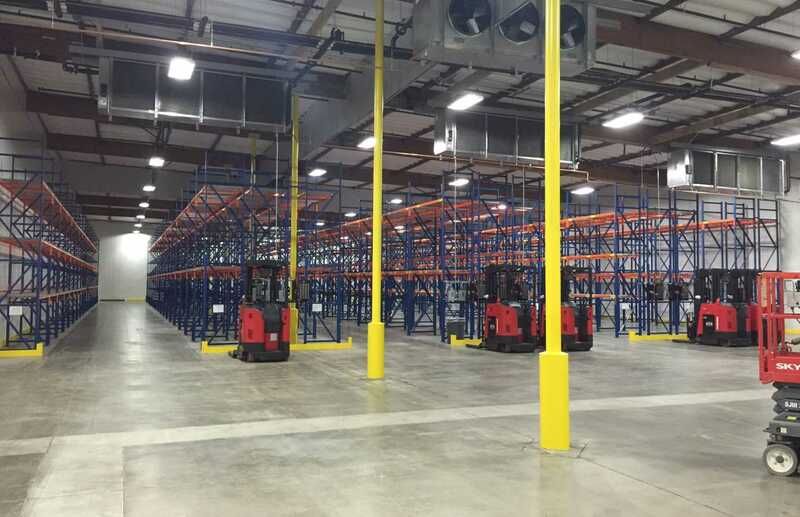 The project was completed with a 4,000 sq. 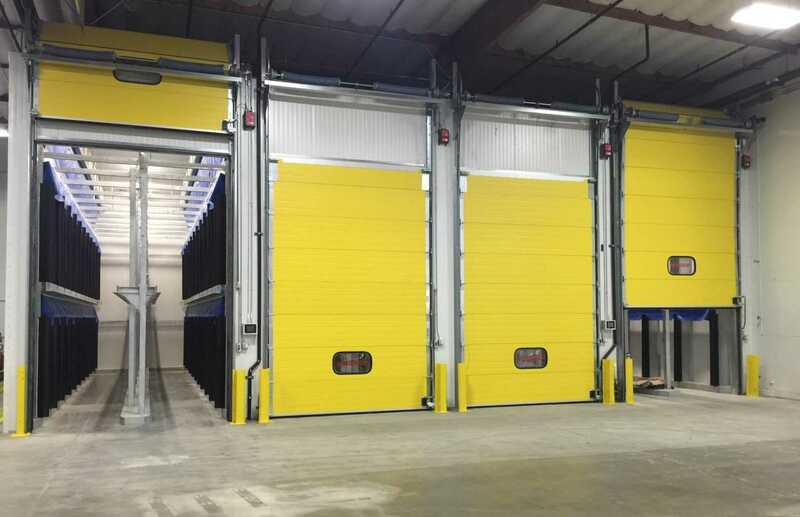 ft. loading dock | staging area cooled to 55˚, with new pits, vertical dock levelers, and high-speed roll-up doors installed. 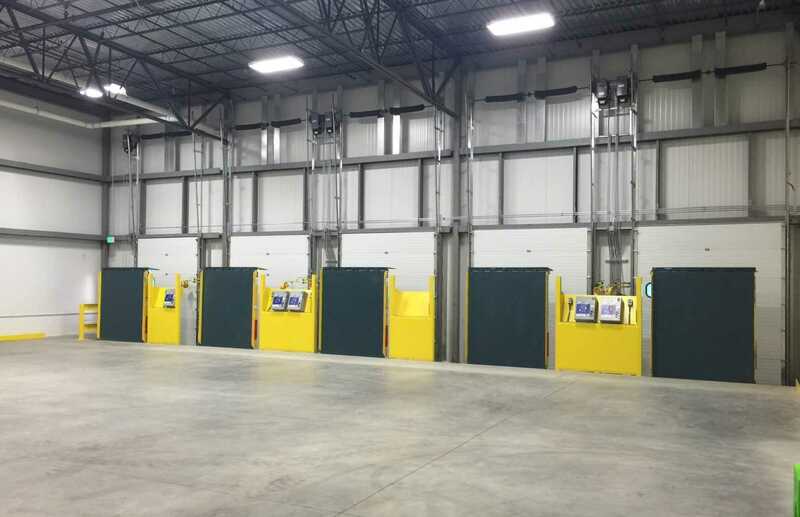 In six months, Fisher converted the 50-year old facility into a hard-working, energy-efficient distribution hub.